Bob Holiday passed at the beginning of the weekend. 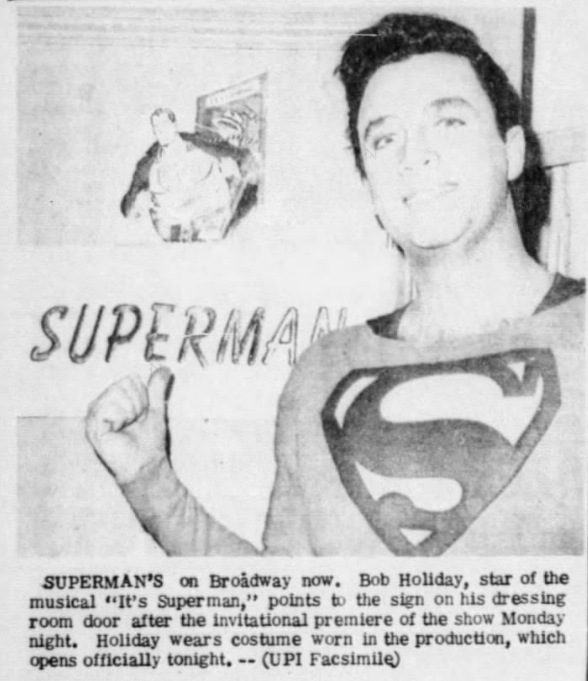 When I first read about him in early 1966, I wanted to see him as Superman but it was only on Broadway, and then not for very long. 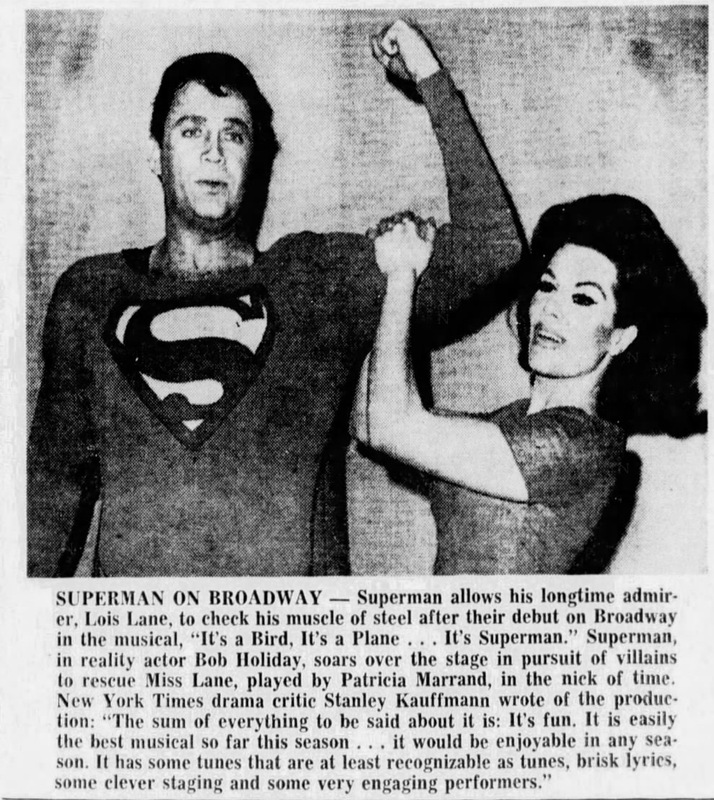 The show--IT'S A BIRD, IT'S A PLANE, IT'S SUPERMAN gets a bad rep but it was critically well received at the time and based on the existing cast album the songs were pretty good. It was not a serious Superman nor campy in the way that year's BATMAN was campy. It was more an affectionate sendup of the character. But Bob played the character straight. During his time on Broadway, he also appeared on I'VE GOT A SECRET as well as in a TV commercial. He even took the show on the road briefly the year after it left Broadway.